Represent the collective interest of our members by promoting, informing, supporting and continuously improving the Small Business Development Center (SBDC) network, which delivers nationwide educational assistance to strengthen small/medium business management, thereby contributing to the growth of local, state and national economies. 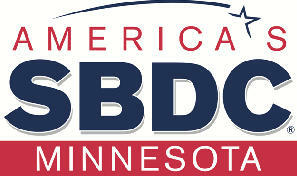 The SBDC offers at no cost, confidential consulting to help businesses in SE Minnesota identify, understand and overcome the challenges of starting a business, running a successful business, and developing exit strategies. We provide the professional expertise and guidance that every small business owner needs to flourish in today's competitive and ever-changing business world. We do not lend money to small businesses, however we work with the business owners and financial institutions to prepare documentation that lenders require for business loans. The SBDC provides confidential consulting to existing and emerging businesses. You may contact the SBDC directly via e-mail at semnsbdc@gmail.com or call (507) 285-7536. If you are interested in business seminars you can click on the link at the left of the page to view the SBDC seminar schedule. 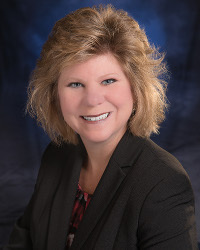 Dr. Jennifer Wilson, a native Minnesotan, joins the RCTC team where she will lead the Business and Workforce Education department in online course development, customized training, curriculum development, and oversee the Small Business Development Center. Her focus is to mobilize economic and business development by meeting the training needs of local industry employers, while at the same time, address the growing workforce demands by developing educational programs for future employees. Dr. Wilson has a diverse background which involves collaborating with state and local government, partnering with non-profit and for-profit sectors, and working with diverse populations. Rick Indrelie is a Consultant with the Minnesota Small Business Development Center (SBDC) of Rochester. He provides confidential consulting to help clients identify, understand and overcome the challenges of running a successful business. Additionally, he packages SBA loans for his clients and financial institutions. He has over 30 years experience working in the accounting/finance field. Rick graduated from Minnesota State University Mankato with a Bachelor of Science Degree and is a certified Economic Development Finance Professional. He has helped his customers get over $100,000,000 in financing/investments for their small businesses. For the past 17 years Mark has had a great interest in working one on one with small business owners. Loan packaging, financing analysis, marketing, and business plan development are just a few aspects he concentrates on. He is ready and willing to help tackle any business issue that small business owners have. Sarah is responsible for numerous administrative duties relating to SBDC (Small Business Development Center), managing the data base for the SBDC, client statistical tracking and reporting, and State and Federal informational reporting.